Neuville and co-driver Nicolas Gilsoul mounted a strong campaign during the weekend, having been down in seventh at the end of Friday’s stages. The Belgian duo ended the 19-stage event just three seconds from second-placed Esapekka Lappi after a determined performance. “It was a big battle in these tricky conditions, and we were on the edge for a lot of it,” Neuville said. “When you are pushing so hard, it is easy to make mistakes, so we have to be content with our third place – as well as taking four extra points for second in the Power Stage. Neuville now holds second place in the drivers’ championship on 40 points and will start second on the road on the dusty gravel roads of Rally México next month. Norwegians Andreas Mikkelsen and Anders Jæger-Amland were also in the podium hunt and finished in fourth overall, fending off M-Sport’s Elfyn Evans. 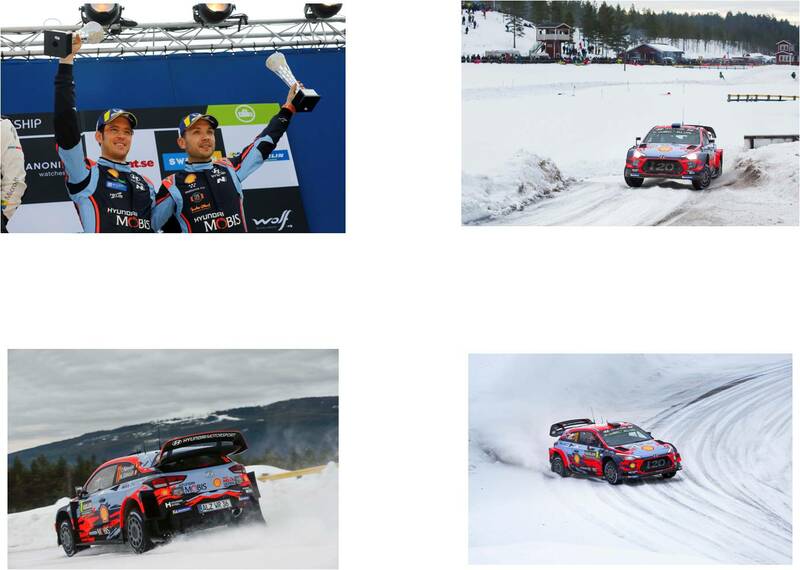 Sébastien Loeb and Daniel Elena took seventh to ensure all three Hyundai i20 Coupe WRC cars completed all 316km of special stages reliably.